When you notice that your camera functions in a sluggish way or it fails to operate altogether, the cause can almost always be attributed to exhausted batteries or poor contacts. Many point-and-shoot models use relatively low cost alkaline camera batteries. They are not rechargeable but do a good job if you use your camera for the occasional snaps. 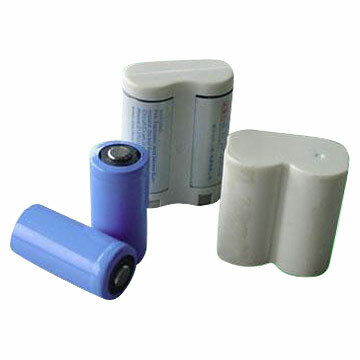 Nickel Metal Hydride (NiMH) camera batteries by far the most popular AA rechargeable batteries. These batteries are environmentally friendly because they are made from nontoxic metals. Together with their battery charger they are more expensive than other battery types but can quickly pay for themselves. The more you use your camera, the more obvious the cost savings of buying them become. They last between 400 - 700 charge and discharge cycles after which they stop holding a meaningful charge and you need to throw them away. For heavy users that's about 1 to 2 years. Their power is rated in mAh (milliamp hours) and the higher it is the longer life it will have between charges. The longest lasting are now about 2900mAh. Generally, you can tell they are failing when they no longer hold as long a charge. 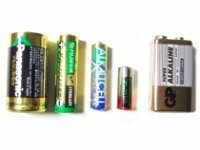 Rechargeable batteries lose a little life every time you charge them. You can extend the life of these batteries by recharging them only when they are actually run down. "Topping them off" is like a regular recharge in that it heats the chemicals in the battery casing, which slowly reduces the battery's life. Lithium Ion (Li-ion)type camera batteries are used in many cameras today and are often referred to as battery packs. They are rechargeable units that you take out of the camera and recharge by securing them into a charger that you plug into a wall outlet. They generally have a long powered-up storage life but to avoid any danger of leaking always remove a lithium battery from your equipment immediately it is exhausted. Silver oxide camera batteries , also known as a silver-zinc batteries, are often used for camera or hand-meters, and for light-emitting diode viewfinder displays. They provide constant voltage over a long life. Most cameras do not give you a real-time status report on your remaining battery charge. At best they display icons that tell you when the batteries are fully charged and when they are almost depleted, but don't tell you much in between. Thus it is always prudent to have more than one battery set, no matter what battery type your camera uses, so you can have a spare with you or can be charging one while using another. Batteries are simple to load into a camera. Look for your typical sliding/slot door (check your camera's manual for details if you cannot file it) and make sure the batteries are inserted with the polarity (+ or -) marked on their contacts matching the terminals in your camera. With so many demands on your camera batteries, it is not all that surprising that they do not last very long. The problem is that once they run out, the digital camera becomes nothing more than a paper weight. When you first get new batteries charge and discharge them a few times so they get fully charged. When photographing, turn off the LCD monitor and use the optical viewfinder if your camera has one. It's better for taking pictures anyway. The LCD screen is one of the biggest energy hogs on your camera, and you can significantly extend the value of your batteries by not using it. When you have to use the LCD monitor, turn down its brightness. Save the slow, careful replays of images for your computer screen. Use the LCD monitor to briefly review images when deciding whether you need to reshoot a particular scene or if you need to select images for deletion to free some room on your memory card. Disable the flash when you do not need it - your camera batteries will thank you. If your batteries die in the middle of a shoot and you do not have any spares, you can turn the camera off, wait a minute, and then turn it back on. Often you can sneak in a few more pictures before the batteries are completely exhausted. It is a good idea to occasionally clean the battery contacts in the camera and charger. Most charging problems are caused by dirty contacts on the battery or charger. When not using the camera for an extended period, remove the batteries and store them in a cool, dry place. (Also remove flash memory cards from the camera when not in use.) Some cameras draw a small current even when off. If you are taking a lot of pictures in a brief time, do not turn the camera off after each and every picture. You might think that you are conserving battery life, but in fact you are burning energy every time the camera has to power on. That is especially true if your camera has to retract the zoom lens every time it powers down and extend the lens when you turn it on again. When you are transferring images to the PC, do not rely on battery power. Instead power your camera via an AC adapter when you are working at your desk near electrical power. In general, remember that batteries are affected by temperature. Batteries do not function as well and run down faster in cold conditions than in warmer weather. Low temperatures slow down their chemical reaction, resulting in erratic or sluggish camera operation. To prevent this, keep the camera under your coat so it stays warmer or carry a spare set of batteries in your pocket, where your body heat can keep them warm. If the current in the first set of batteries drops off due to the cold, you can swap them out with the ones warmed by your body. Since the first set of batteries will recover some of their charge when warmed up by your body heat, you can swap back and forth a few times. On the other hand, note that batteries stored bagged in a refrigerator have a greatly extended shelf life. When flying, be sure your batteries are charged. You may be asked to turn the camera on at a security check point. Most cameras have a second battery, sometimes called a clock battery, that lets the camera retain its memory when the main batteries are removed. the clock battery may run out. Do not attempt to recharge batteries other than nickel types marked as suitable, and always recharge through the recommended charger. Changing non-rechargeable batteries once a year is also advisable - especially before going to a location where the correct replacements might be difficult to buy. Never allow anyone to try opening a battery or throw it on a fire.